Probably one of my favorite bridal images of all time. Taken at Hotel Zaza, our goal was to showcase the bride's sense of couture style, while capturing a beautiful, classic and timeless image. The result is a warm, sophisticated photograph that highlights the intricate details of the gown's bodice, while the cloud of organza floating around her shoulders gives the bride an ethereal presence. 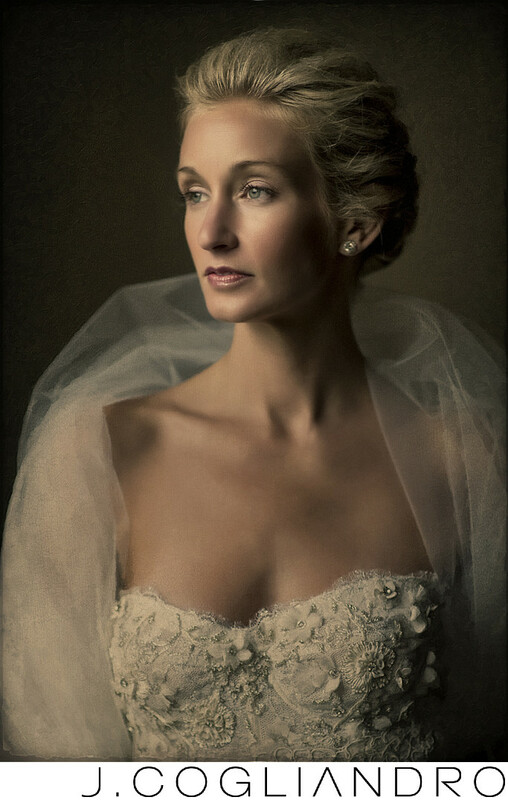 This photograph won Most Outstanding Wedding Photograph of 2012 by WPPI, and has been showcased in Rangefinder Magazine. Location: Hotel Zaza, 5701 Main Street, Houston Texas, 77005 USA. Keywords: Beauty (36), Bridal Portrait (3), Bridals (15), Bride (6), classic Beauty (3), Hotel Zaza (3), Houston Brides (3), Houston Texas (3), Houston Weddings (111).